Threads, string, rope and yarn are used to create useful and decorative fabrics and structures. People all over the world have been working with these materials for hundreds of years. Some projects use simple tools, others require only a pair of hands to achieve intricate structures. With mechanization, many of these crafts started to fade into memory. During the 20th and 21st centuries these crafts have made a resurgence, saving knowledge from oblivion and opening the history, technique, and instruction to the worldwide community. A compilation of knots and designs in fancy and ornamental rope work, this encyclopedia pulls together descriptions and photos of knots ranging from elementary rope work to braiding and ornamental knotting. Rather than a how-to guide, is an exploration of many knotting structures with a nautical focus. Hammocks are a simple, portable, space saving kind of furniture that probably originated in the Upper Amazon Basin and were adopted by European “navies.” The craft spread to West Africa via trading ships and then on to North America and Europe. Several techniques used to create hammocks are described and diagrammed in this work. This small instruction booklet is a beginner’s introduction to netting, an ancient art of unknown origin. Projects range from decorative doilies to useful handbags or baby caps. A celebration of craft and the craftsperson throughout the Americas, this catalog pays tribute to artistic diversity among all people. Included in this exhibit catalog are photographs of traditional weavings and modern artistic interpretations. Fashioning a viable, useful object from nondescript raw materials gives a craftsperson a feeling of independence as well as accomplishments. Instructions for a number of projects are included in this work as well as historical information from the Vinalhaven net factory and beyond. Nalbinding is the Scandinavian technique of using a single needle and thread to create a fabric of warmth and durability. Clear, large photographs accompanied by instructions in both English and Norwegian will inform you of the basics of this craft. Chinese knots were developed for decoration – unlike those with nautical or macramé structure – though many knots are identical between the different techniques. Chinese knots include loops and swirls to form intricate and symbolic designs drawn from nature, folktales and the Chinese language. Projects are included in this book. 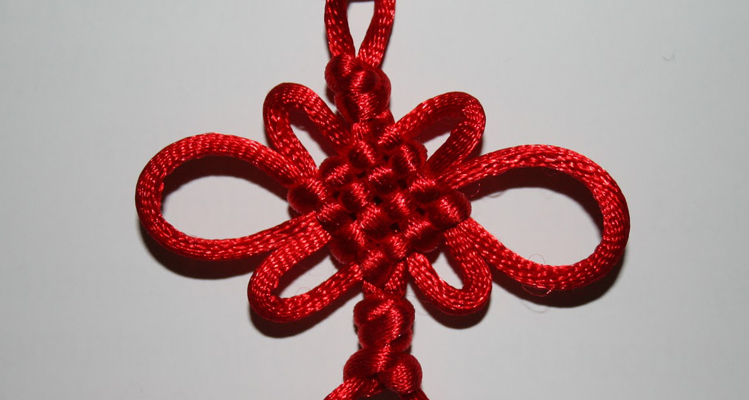 This book has descriptions and how to photos of a variety of knots used in macramé work. No specific projects are included but a wide variety of knots are shown. Tatting is an ancient needle craft that was practiced n Europe and the Far East. In its simplest form, tatting is nothing more than tying knots over a thread or carrying cord. The result is a delicate lace. Using a needle instead of the traditional shuttle opens this craft to a wider audience. After a set of basic instructions there are over 50 projects including lace edgings, baby garments, ornaments and more. This book has basic direction for tatting using line drawings, symbols, and photographs. It introduces the reader to doilies, edge and three dimensional objects. This book closely connects with cultural history and mythology. The games, which are created from drawings of the string on a hand, center on tales, fortune telling, chants and songs. This is an illustrated guide to interlinking, interlace and weaving techniques with a single set of threads which twist along each other to form a cloth, as opposed to weaving which uses two sets of opposing threads, a warp and a weft.